Many adults in the US consume alcohol for social reasons or to relax. Thousands of American adults also smoke tobacco. Numerous people receive prescriptions for medicines to treat pain, psychiatric conditions, blood pressure, stomach upset, and more. Plenty of people take supplements to improve their health. In the event of a headache or sinus pressure, there are over-the-counter drugs that can relieve symptoms for a few hours. With so many different medications available, it’s no surprise that people often mix them, sometimes unknowingly and sometimes with the intention of achieving euphoria. Not many people consider how these drugs work together but some drugs can make very dangerous, and even deadly, combinations. In fact, many people mix drugs and alcohol in certain combinations to get high. This is a form of polydrug abuse, which can lead to serious consequences like hospitalization and death. Drugs act on brain chemistry in different ways. Some depress the central nervous system; alcohol, opioids, benzodiazepines, and other substances reduce neuron firing, while releasing dopamine or other neurotransmitters. Some, like antidepressants, change the balance of neurotransmitters to improve mood. Stimulants like cocaine, Molly, meth, or Adderall increase brain activity. Even some foods, like grapefruit, can change how these drugs act on the body. In 2012, drug interactions accounted for 3-5 percent of all adverse drug reactions, and this estimate only considers prescription medicines. Combining drugs can cause dangerous changes to the cardiovascular system, brain chemistry, and other areas of the body. Ingesting these substances orally can harm the digestive system, liver, and kidneys, while smoking or vaping damages the lungs and throat. When the brain has a flood of different chemicals, organs may begin to shut down in response. Alcohol and benzodiazepines: People who take benzodiazepines, like Xanax, Klonopin, or Valium, may have received a prescription from a medical professional to treat anxiety or panic disorder, or they may have procured the drugs to abuse recreationally. These medicines are usually prescribed for less than two weeks because they can quickly lead to tolerance and abuse. This is, in part, because benzodiazepine medications act on the same brain receptors as alcohol: the GABA receptors. These receptors can fire rapidly, leading to panic or anxiety; when a depressant like alcohol or Xanax is introduced, neurons fire less frequently, leading to an experience of relaxation and possibly euphoria. While alcohol has many other effects, this effect is one of the primary reasons people drink. Combining these two substances can lead to alcohol poisoning or overdose. Alcohol and opioids: Narcotics like prescription painkillers and heroin act on the brain in similar ways, leading to euphoria and relaxation. They are depressants, which suppress pain and create a sense of wellbeing. While opioids do not act on the same area of the brain as alcohol, both intoxicants are depressants, leading to intense relaxation. Alcohol can increase the effectiveness of opioid drugs, which can rapidly cause an overdose. The combination also means that, in the event of an overdose, naloxone will be less effective because the medication only targets the opioid receptors. Alcohol and marijuana: Combining cannabis and alcohol creates unpredictable results, merging negative side effects from both substances. Users may lose physical coordination and injure themselves more easily, or they could experience more intense anxiety or paranoia. Alcohol and stimulants: Combining cocaine, MDMA, meth, or Adderall with alcohol can cause serious physical side effects. Mixing cocaine and alcohol, for example, increases the risk of heart attack or stroke. This combination leads to the production of cocaethylene in the liver, which is a highly toxic substance that can cause violent aggression. The increased stress can harm the cardiovascular system, the liver, and the kidneys. MDMA, Molly, ecstasy, and similar “club” amphetamines lead to dehydration, and combining those with alcohol increases sweating and dehydration too. This can increase the risk of seizures. This combination also puts strain on the liver and kidneys. Combining any stimulants with alcohol increases the risk of paranoia, aggression, and some delusions. It is harder to tell how intoxicated a person is when these drugs are combined, which can lead to fatal accidents. Opioids and benzodiazepines: As with opioids and alcohol, benzodiazepines can increase the bioavailability of the narcotic drug, which increases the risk of overdose. Narcotics can suppress breathing, which leads to lack of oxygen, passing out, organ and brain damage from oxygen deprivation, and death. Heroin and cocaine: This combination is called a “speedball,” and the drugs are combined to take the edge of the other drug. Cocaine prevents sleepiness or nodding from the large dose of heroin, and heroin reduces the anxiety or paranoia associated with a large dose of cocaine. If this sounds too good to be true, it is. 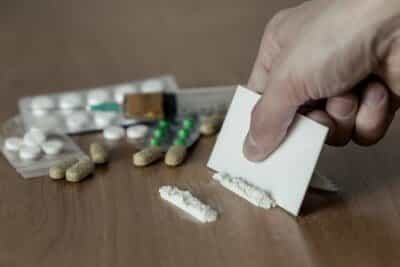 Cocaine increases the body’s need for oxygen while heroin suppresses breathing; this can lead to serious problems related to oxygen deprivation without associated overdose symptoms that could be treated. Sudden death is much more likely because the person does not get medical attention fast enough. Antidepressants and sedatives: Antidepressants, from selective serotonin reuptake inhibitors (SSRIs) to MAO inhibitors (an older class of antidepressants), act on serotonin and sometimes other neurotransmitters like dopamine and norepinephrine to adjust brain chemistry. They treat depression and some anxiety disorders that have associated depression. They take between one and four weeks to become effective, so it is rare for people to abuse these medications to get high. However, once a person has a regular dose of antidepressants acting on their brain, their neurotransmitters have adjusted to certain levels. Taking other drugs on top of these medications, including benzodiazepines, alcohol, narcotics, and other sedatives, can increase levels of neurotransmitters in the brain yet again. This can lead to serotonin syndrome, an overdose of serotonin that causes hallucinations, delusions, intense euphoria, over-excitability, high body temperature, tremors, and possible seizures or heart attack. Combining drugs for nonmedical reasons, or failing to take prescription medications as explained by a doctor, can be extremely dangerous. When medical professionals prescribe multiple drugs, they try to reduce the interactions between substances; people who struggle with substance abuse involving multiple intoxicating drugs do not often take this into account. Their focus is getting high, and using multiple drugs to achieve this goal can be exceptionally dangerous. The combinations make overdoses harder to treat, so the person is more likely to die or suffer physical disability as a result. In cases of polysubstance abuse, professional addiction treatment is always recommended. Ultimately, working with medical professionals to safely detox, and then entering a complete rehabilitation program, is the best method to overcome addiction, whether it involves one substance or many substances.